Our justice system has just taken an exciting new step towards broadening access to justice. From 1 December a new “court-annexed” mediation procedure will be available (piloting initially in Gauteng and North West) to help resolve disputes without the high costs, delays and hostilities often associated with litigation. In areas where “court-annexed” mediation is not yet available, you should still consider the existing “private” mediation procedures for settlement of your disputes. Mediation is increasingly being used by both attorneys and their clients, and hopefully this trend will be given a further boost by the introduction of the new procedures. Litigation tends to have a “Win/Lose” feel to it, whereas mediation, being voluntary and without prejudice to your case, and with its emphasis on “restorative justice”, will provide a better chance of “Win/Win” outcomes because you and your opponent yourselves determine the settlement of your dispute with the assistance of the mediator. How does court-annexed mediation work? In a nutshell, an independent mediator is appointed to help you and your opponent/s resolve your dispute by helping you identify and prioritise the issues, by facilitating discussion between you, by exploring areas of compromise and by generating options for settlement. Note that mediation is entirely voluntary and that the mediator, unlike a judge or magistrate, does not make any decisions of fact or law, nor any findings as to witness credibility. He/she will rather try to help you and your opponent reach an agreement acceptable to you both. After litigation has commenced, but then only with the court’s authority. You may agree to mediation on selected aspects of your dispute only, or on the whole dispute. Before trial commences, you can apply via a court official (clerk of court or court registrar) for mediation and a conference will then be convened to discuss whether one or more of your opponents agree to mediation. After trial commences, the court itself hears your application, and it may also of its own accord raise the possibility of mediation with you and your opponent. A signed written agreement to mediate is prepared with help from a court official and an impartial mediator appointed by agreement or by the court official. You both lodge written statements of claim and defence (unless court pleadings have already been filed). If you reach a settlement the mediator will help you draft a written settlement agreement which must be signed and can by agreement be made an order of court. You must both contribute equally to the mediator’s fees (which are set by tariff). Everything said and all documentation lodged during the mediation is confidential and cannot (with a few specific exceptions) be used as evidence in any subsequent court proceedings. Can your attorney represent you? Yes. You must attend the mediation personally, but you don’t need to go it alone. You can be legally represented, albeit at your own cost. Don’t make the mistake of waiving your right to legal representation unless you are 100% comfortable with your own ability to present your case properly and to best effect. Is court-annexed mediation available all over SA? Unfortunately not yet – only certain districts and sub-districts in Gauteng and North West have been gazetted for piloting from 1 December. Hopefully the rest of the country will follow shortly. In the meantime no matter what province you are in, take advice on using the existing “private” mediation procedures as an alternative. Kate Elliott (née Bosman), an Associate, joined Ashersons in 2012, and was admitted as an attorney in February 2014. 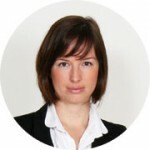 Kate has experience in family law, criminal law, franchising law, and commercial litigation. She has also experience in contractual drafting and an in depth knowledge of the Consumer Protection Act. ← Are you about to forfeit your annual leave?